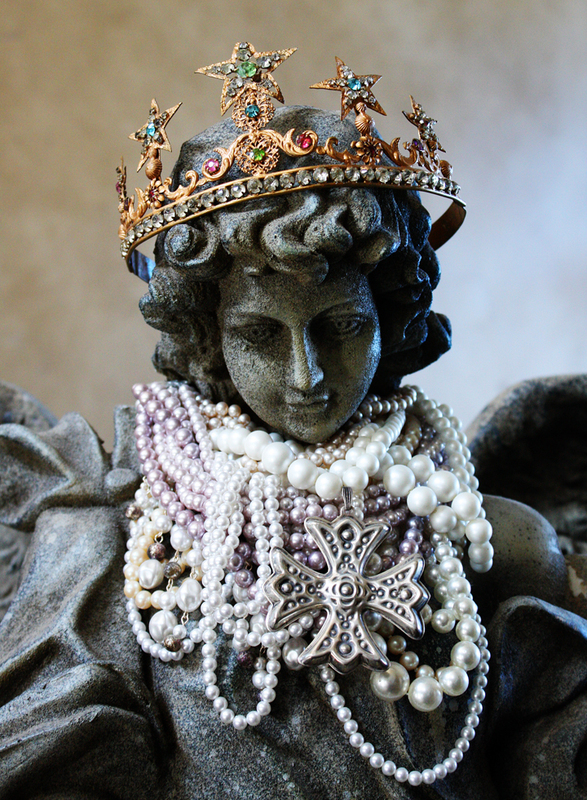 This extra large crown measures 3 1/2 inches tall by 6 1/2 inches wide by 7 1/2 inches deep. 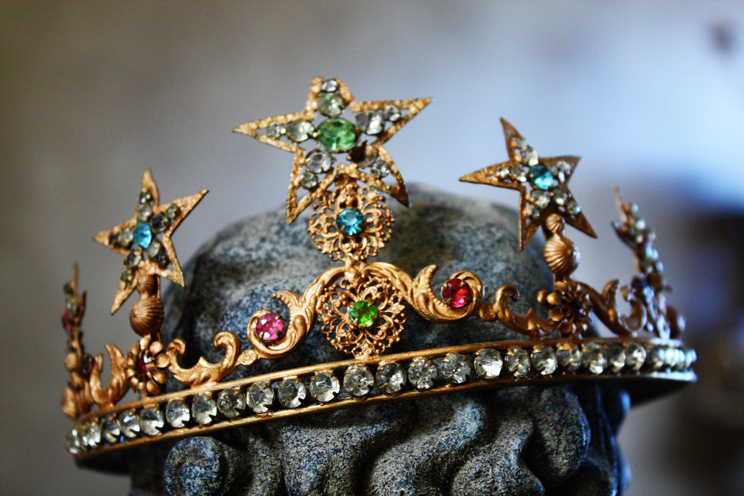 I have never had a crown in these colors before. So beautiful with the pinks and greens and blues! 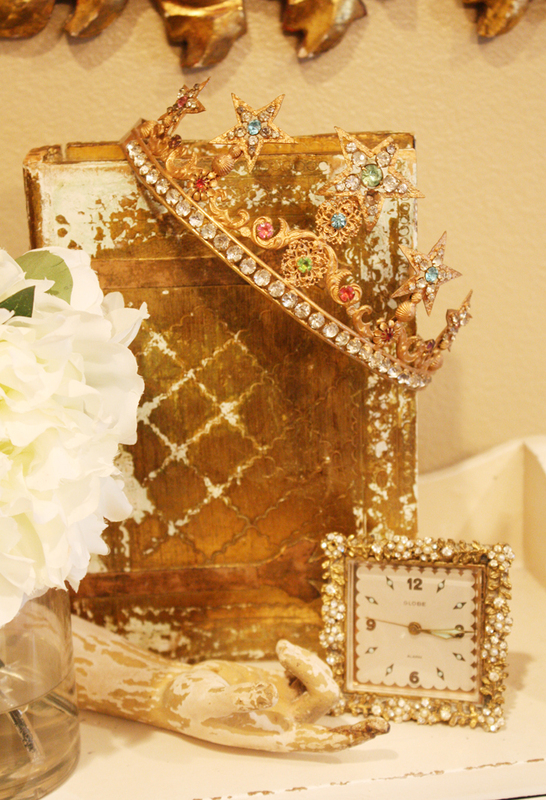 A gorgeous crown to display anywhere in your home.